El Pollo Loco is a restaurant chain with a menu focused on their fire-grilled chicken (hence their name, meaning “The Crazy Chicken”). Founded in Mexico and migrating to the US in 1980, they are committed to creating a great experience for their customers as well as contributing to local communities. See the link below for the El Pollo Loco Application. The first location began in Mexico in 1975. In 1980, Juan Francisco Ochoa, the founder, opened his first US restaurant in Los Angeles. By 1991, they had 200 locations, and in 1995 broke the Guinness World Record for the world’s largest burrito. Today, there are over 400 locations spread across the Southwest and 40 still operating in Mexico. They are a publicly traded company as of 2014. The company’s primary commitment is to consistently providing the best tasting food in the industry. They start with fresh chickens and fire-grill and hand-cut them to provide quality flavor. The “grill masters” that cook the chicken compete to be the best in the franchise. Restaurant leaders also value great customer service in their cashiers, so that diners not only get exceptional food, but also an exceptional dining experience. The company also contributes to local communities. They have created two charity organizations: Fire-Grilled Fundraisers and El Pollo Loco Charities. This dedication to service, as well as a focus on healthy, fresh, great-tasting food, makes their restaurants a great place for customers and employees alike. 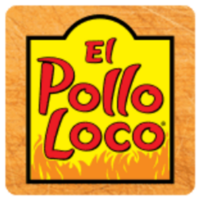 See the link below to find out how to apply for El Pollo Loco Online. There is no printable application form. With 400 restaurant locations across the US, there are many El Pollo Loco jobs available to energetic and driven individuals. Job opportunities at the restaurant include crew members such as cashiers and cooks, shift team leaders, and general and assistant managers. Positions are also available as local area leaders that manage multiple locations and at the corporate support center. The company envelops their new employees in an extensive training program called SPECS that caters to the position they will be working. For crew members, this is on-site training that covers food preparation, handling the cash register, and more. For managers and other leaders, there is a combination of on-site and workbook training. The purpose of this training is to allow individuals to quickly advance their El Pollo Loco careers. How old do you have to be to work at El Pollo Loco? The minimum age to apply for jobs at El Pollo Loco is 16 years old. There may be additional requirements depending on the position. For example, cashiers and cooks at the restaurant should be able to stand for multiple hours, walk frequently, and lift moderately heavy loads. There is an extensive employment benefits package available. It includes health, dental, vision, and life insurance as well as insurance for any accidents during company travel. There are wellness programs and employee assistance plans available to all workers. Vacation and time off are paid. Employees receive a 401K plan with a company match, and also get discounts on meals at the restaurant. Hours of operation are 10am-11pm, 7 days a week. Below is a job description list for several El Pollo Loco jobs online. Cashier- If you’re, as the company puts it, “Crazy for Guests”, consider applying to be a cashier. Responsibilities include welcoming guests, taking their orders and effectively communicating them to the cooks, and ensuring that the guest is happy with their food and the atmosphere. No experience is necessary, but the company is looking for individuals with excellent customer service who can effectively communicate in English. Average salary is $9/hr. Cook- If, instead, you are “Crazy for Food”, consider a position in the kitchen. Responsibilities will vary with position, but may include grilling chicken, preparing sauces, or assembling burritos or other meals. All team members are responsible for ensuring food is fresh and all areas of the kitchen and salsa bar are clean. Applicants to this position must be 18 years old. Average salary is $9/hr. General Manager- The general manager ensures smooth operation of one restaurant location. Responsibilities include maintaining safe food practices, meeting sales goals, training and overseeing employees and ensuring they work safely, and meeting standards for quality. Applicants must be 18 years old, be able to drive a car, and have at least one year of service experience. Average salary is $45,000-55,000/yr. Area Leader- This position oversees the operation of multiple restaurants in an area. Responsibilities include analyzing sales and profit performance, auditing operations of restaurants to ensure quality service according to best practices, and hiring and developing managers and team leaders. A high school diploma, basic math and computer skills, and three years of management experience are required. Below are some questions you can expect to hear during an interview for El Pollo Loco jobs. Do you consider yourself to be detail-oriented? It is evident in the company’s values that they have a perfectionist attitude toward their food and atmosphere. To be a valuable part of their team, you need to show that you can support this meticulousness by paying close attention to your work. Tell me about a time you had to learn quickly. Training is an important part of the orientation process for employees, and the quicker you pick up the things that are expected of you, the better. How well do you interact with others? This question will determine whether you are better suited for front-of-house (customer service) or back-of-house (cooking and kitchen support) jobs. There is no wrong answer here; just be honest. What are your ambitions for your career? This company focuses heavily on advancement, so your opportunities for promotion are high. Come prepared to talk about what you are passionate about and how those passions and aspirations may fit into the larger picture of the corporation. Can you keep your cool in stressful situations? While they are quite driven and customer-focused, they also present themselves with a laid-back feel. Ideal members of their team can be professional, but also relax during work and enjoy the process. Prepare a specific story that demonstrates your ability to get into a flow and maintain calm during periods of intense work. Jobs openings are accessed via online application (see below to download application form). There is no printable application for El Pollo Loco, and they do not accept a direct application by walking into a store. When you apply online, make sure your El Pollo Loco application and résumé are well written and organized. The more professional it looks, the more likely you will get selected out of the many applications. Dress well and clean yourself up for the interview process. Wear business casual attire for crew member interviews and business professional dress for management interviews. Crew members will be invited to the store at which they are applying and will get to speak to two members of the team. Demonstrate genuine interest during this portion: take notes and use good eye contact. Management interviewees will get to spend several hours touring the store during an interview. As you walk around, ask plenty of questions about what you see. You can even offer opportunities for improvement. Don’t fake interest here; be genuinely invested in the operation of the restaurant. This attitude will help you succeed long past the interview. Regardless of the role you’re going for, have an open dialogue with the interviewer. It is critical to ensure the job is a good fit for you. Talk about career goals and what advancement opportunities are available. Ask about the hours you will be working and make sure they fit your schedule. Questions like these show that you are interested and also lead to a pleasant working environment upon hiring.